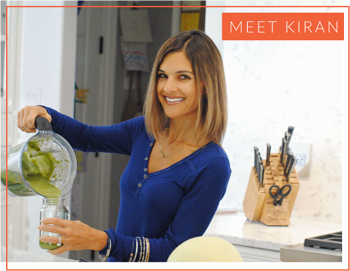 You guys – I have a new recipe that I just know you’re going to love. How do I know? Because it tasty, it’s easy, and the few times that I made these, they were literally gone in minutes. How’s that for proof?! Oh, and the pickiest person in my family (daughter #2) raves about them. Can I get a hell-yeah? Total #momwin. 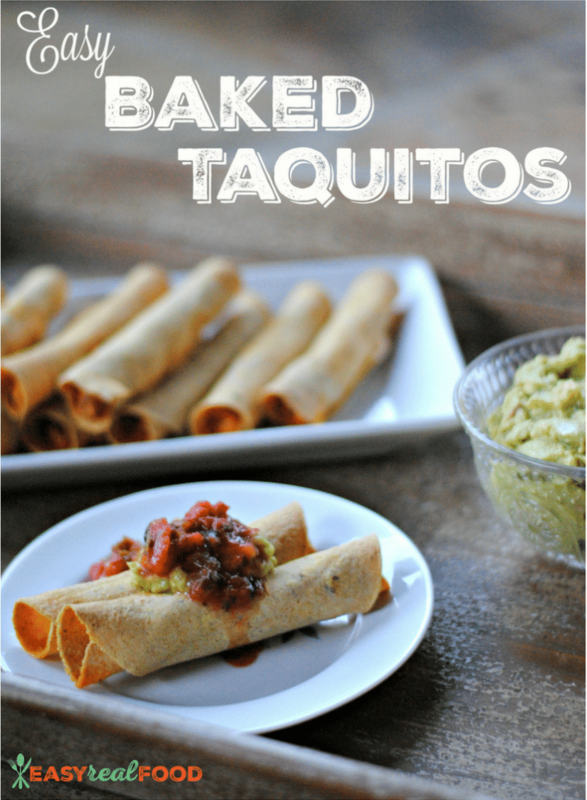 Yeah, let me tell you a little more about these easy baked taquitos. 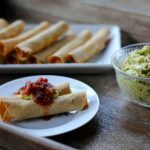 Baked taquitos are a meal that you can pull together in minutes. You know, like the days when your kids’ activities run late. Or when you realize that you forgot to plan dinner – oops. What I also love about them is that you can put them together and freeze them for another day. Gotta love homemade convenience food, right?! Oftentimes taquitos are fried, but not here. Instead, I bake these to give them just the right crispness minus the fried-ness and everything that goes along with it. And I even make them with corn tortillas so that they are also gluten-free. I’ve served these as an appetizer for a gathering that I had a few weeks ago alongside salsa and guacamole, and I’ve also made them accompanied by hot sweet potatoes topped with black beans and cheddar cheese for a dinner that my family and in-laws really enjoyed. Both times were a hit. While I’m guessing that you can make these with canned organic chicken, I used organic rotisserie chicken from my local Whole Foods Market. With that being said, it literally took me minutes to pull this together. There is definitely a learning curve. By the third time that I made these, I cut my time down dramatically. Whole wheat tortillas work well, too; since a few of us in my family are gluten free, I choose corn tortillas. If using corn tortillas, be sure to not skip the microwaving. They will rip if you don’t heat them. You may just want to double this recipe. I never ever have leftovers! If you want to freeze these, prepare up through #4 in the recipe, but don’t bake them. Place them on a baking sheet and freeze; once frozen, place them in an airtight container or freezer bag. When ready to bake, preheat the oven to 425 degrees F and place frozen taquitos on a large baking sheet. Spray with cooking spray and bake for 15-20 minutes. Once a Month Meals breaks down the freezer-meal process really easily if you want to hear more! 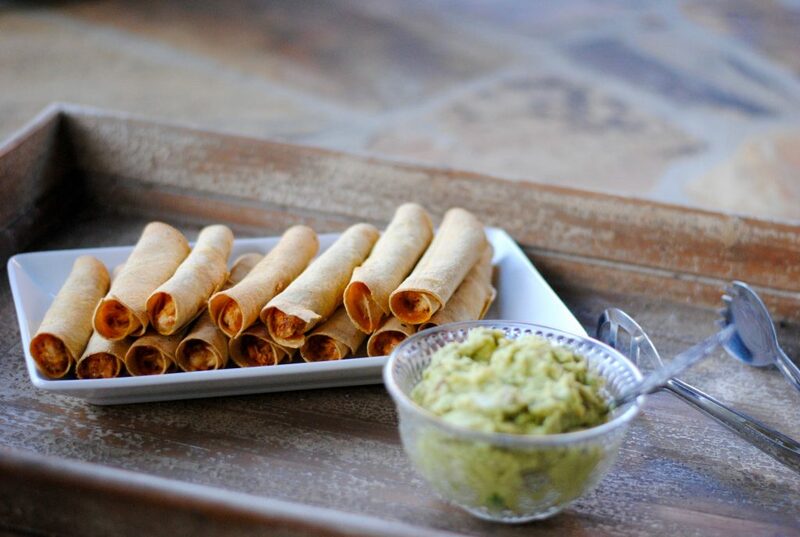 Baked gluten free taquitos that are stuffed with chicken, cheese and a whole lotta taste. In a medium mixing bowl, combine chicken, cream cheese and cheese. Heat in the microwave for 45 seconds to easier mix the chicken and cheese. Add spices and salt and mix to combine. Working in batches of 2, place corn tortillas in between damp paper towels and heat for 20 seconds in the microwave. Once warm, place tortilla on your workspace. Place 1/3 of the mixture onto the tortilla, and form it into a sausage-like form on the edge closest to you. Roll tortilla up, and place seam-side down on a baking sheet. Repeat until all taquitos are made, and bake for 15 minutes. Since we’re in the heart of football season, I’ve gotta tell you that these would be perfect football food, too. All-in-all, they’re a super yummy finger food – I hope that you try them out for yourself! Yum! I want to try these. What brand of corn tortillas do you use? I used the Whole Foods Market organic corn tortillas and also the Food for Life organic sprouted corn tortillas. Both work great, as long as they are warmed:).